You have the right to the right attorney. For the highest level of advocacy and support possible for your serious and pressing legal challenge, you can turn to John J. Balenovich Law Offices, LC, in Charleston, West Virginia, for the quality, effective and efficient legal counsel you deserve. John has your back. Over the course of his career, Mr. Balenovich has handled more than 2,000 cases in both West Virginia and Kentucky, including 154 trials. Mr. Balenovich had a case featured on the A&E Television show After the First 48 and has been quoted by the Wall Street Journal and The Courier Journal. 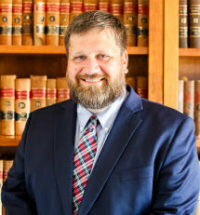 In addition to his impressive legal credentials, Mr. Balenovich is a former prosecutor who holds a master's degree in justice administration from the University of Louisville, so he has invaluable knowledge of the criminal justice system, which enables him to provide the most effective defense strategies possible for those he serves. A recognized leader in his field, Mr. Balenovich writes extensively and conducts lectures on a variety of legal topics, so you can trust your case will be handled by a local attorney who possesses the knowledge and resources necessary to help you resolve your legal issue no matter how complex. In all cases, Mr. Balenovich and his law firm are here to protect your rights and interests in the face of serious legal challenges in order to help you secure a brighter future for yourself, your family and your company. To find out more about how John J. Balenovich Law Offices, LC, can help you through your difficult and uncertain time, you can contact his law firm by phone, email or through the online form on their website to schedule an appointment for a free initial consultation.